Stefan Kießling was thrilled with the part he had to play in Bayer 04 Leverkusen's comprehensive 3-0 win over dejected Hannover 96 on Saturday afternoon. 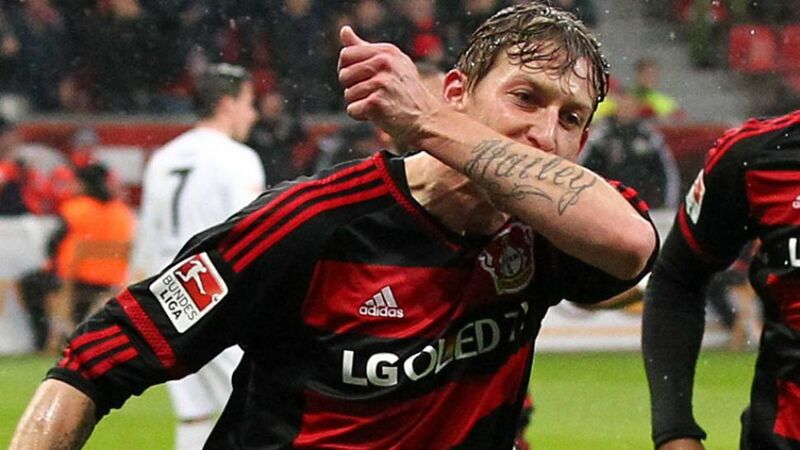 Stefan Kießling (Leverkusen striker): "I’m delighted to be able to play and to get my goal today. It was good for me to score and I hope it continues. I had a couple of chances before my goal so I was happy to see it go in." Ömer Toprak (Leverkusen captain): "It was a deserved win. We had good preparation in the winter and we have a lot of players in form so we’re on the right path." Christoph Kramer (Leverkusen midfielder): "We played much better this week than last week. Today we used long balls a few times and they worked pretty well. We want to finish fourth and we need to consolidate this position. Every three points is difficult so every win is important. Bayern, along with Dortmund, beat most teams in the Bundesliga, if not all, so beating them next week would be a bonus." Kevin Kampl (Leverkusen midfielder): "I think we dominated the game and had a lot of chances, so the win and the margin is fully deserved. We want to finish fourth, but we know it won’t be easy. The Florida trip was good for us to spend time with each other. I think we’re a tighter unit now." Ron-Robert Zieler (Hannover goalkeeper): "We’re disappointed to leave empty handed. We played ok and had a couple of good chances in the first half, but the timing of the goals – especially the first one - killed us. We’ve changed a few things under the new manager, but it won’t happen overnight. We need time to adapt." Andre Hoffmann (Hannover midfielder): "We had to defend a lot today and did it well at times, but it's frustrating we conceded from two set pieces. We’re not panicking. We know the situation we’re in and we just need time to get things right."